We’d been reading about this technique called ‘vapor treating‘, that is supposed to smooth out the surface of prints. Bathing them in vapor of a solvent would blend the ridges so typical of 3d printing, so that the part would look almost injection-molded. This looked like something we’d like to try ourselves. Different plastics require different solvents. The solvent for ABS plastic is acetone, which is both widely available and not too toxic. We have a lot of pieces lying around from semi-successful ABS printing experiments which are perfect candidates for some smoothing. 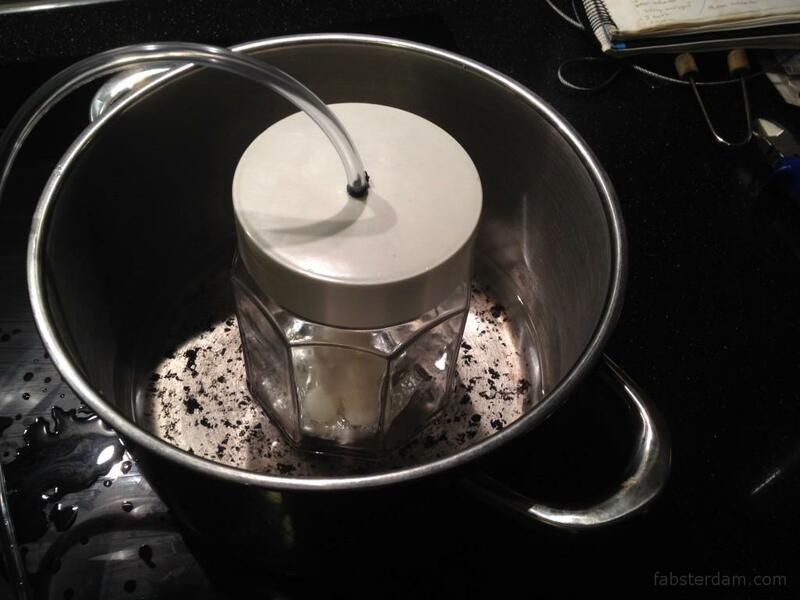 Our set-up is simple: a glass jar with a bit of acetone in it; a steel wire platform covered with aluminium foil to hold the ABS piece; some water in a pan on the kitchen stove to heat it all up. The silicone tube coming out of the top of the jar goes to a mug filled with water, to catch any acetone vapor that is trying to escape. As soon as the water heats up, the acetone starts to evaporate (the boiling temperature of acetone is about 56 °C so the water does not even need to boil). This is where you can turn the heat down or off. 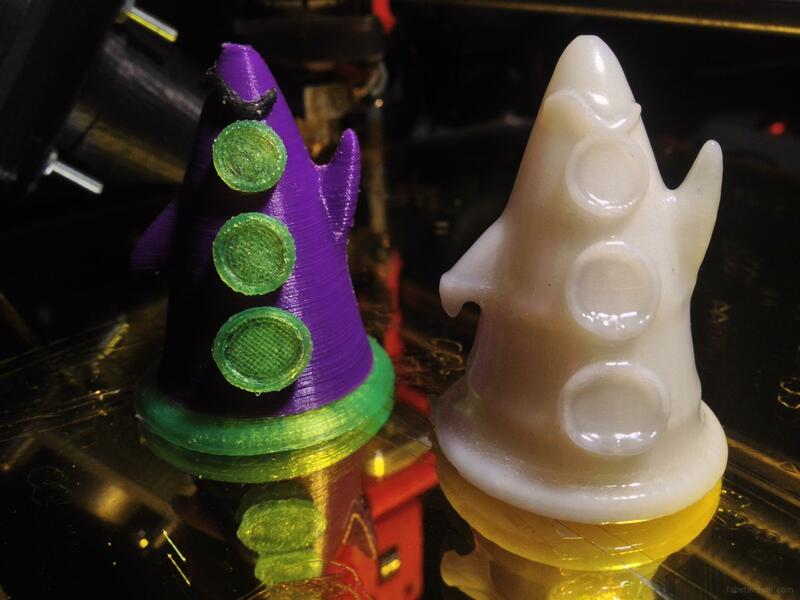 The acetone vapor will start to soften the surface of the print and it doesn’t take much to make it run. 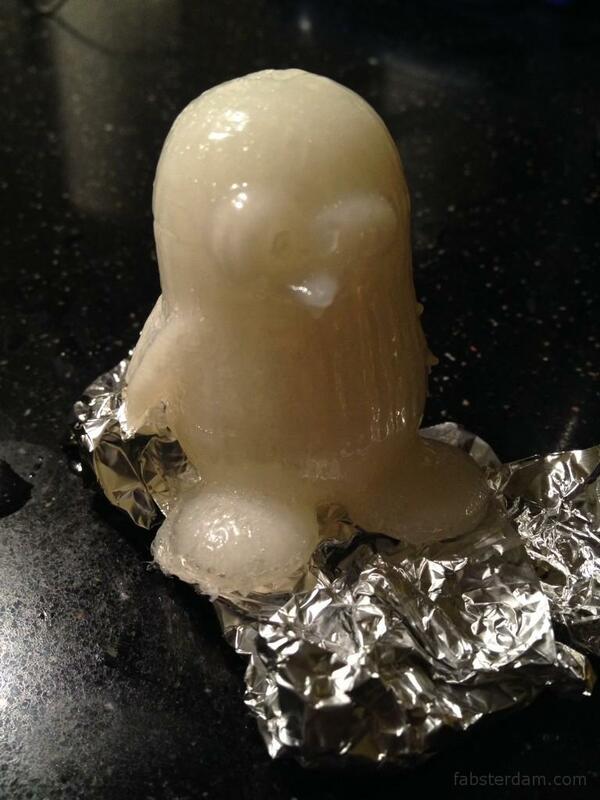 The result of our first experiment: poor Tux is melting! You’ll notice that there is a hole in the top of his head. This is caused by condensing acetone dripping down from the lid of the jar. The acetone runs down the piece, dissolving more plastic and ruining the surface. Time for another attempt: less time in the vapor jar (it really only needs a few minutes) and we made a little tinfoil umbrella to keep condensation from dripping onto the piece. 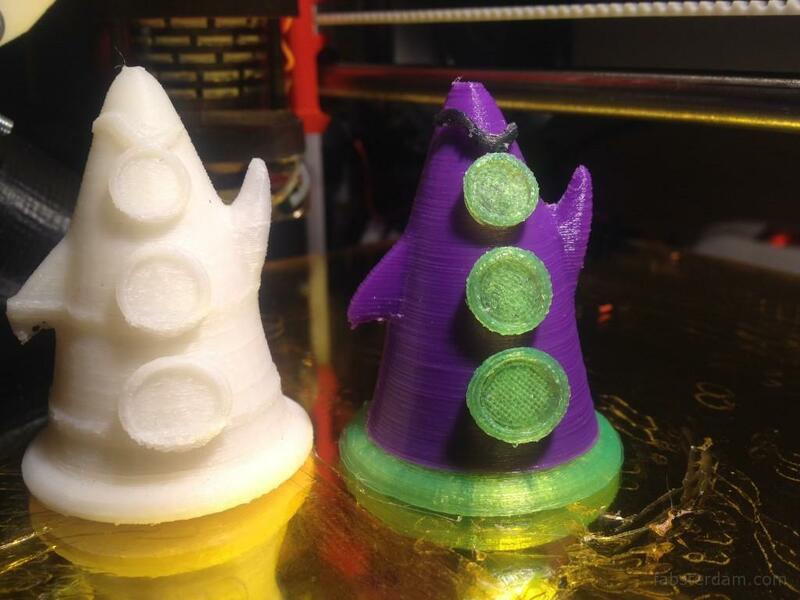 In a previous post, we introduced the Purple Tentacle in three colors of PLA. 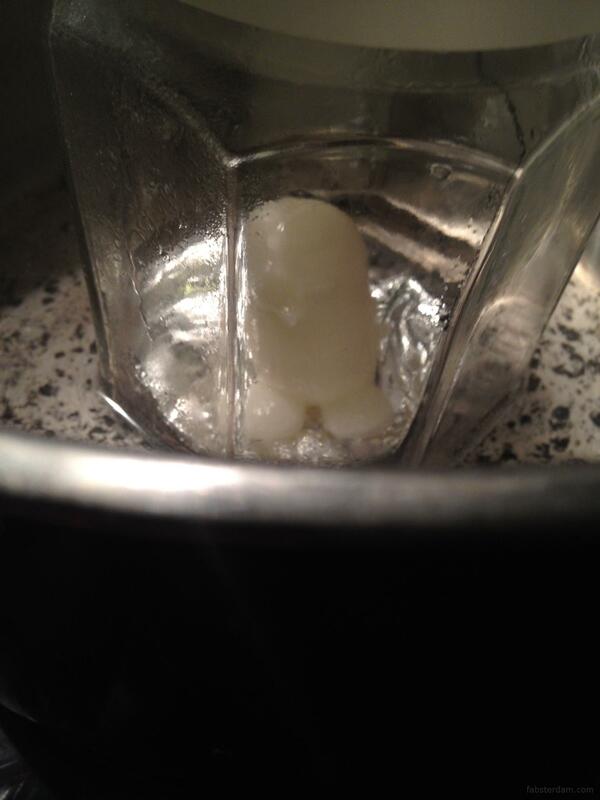 Next to it was a print in white ABS, one of our earlier experiments. It had two strange ridges in its body, caused by something weird in the software we were using at the time. It would be interesting to see what vapor smoothing would do for this piece. And there it is: the ridges have almost disappeared and the piece is very smooth indeed. The print layers have blended together nicely and the piece looks almost wet (it is not). One of the advantages of having a smoothed piece (apart from its looks) is that painting supposedly is much easier. We will be trying that next; stay tuned!